The men’s EY Hockey League is shaping up to be another close-run battle with the action getting under way on September 22. Three Rock Rovers have won the last two EY Champions Trophy titles under the coaching of Niall Denham and will take on the mantle of favourites this season. They have yet to win the EYHL regular season title, however, finishing second for the last two years. Mitch Darling, Luke Madeley, Ben Walker, Jamie Carr and Daragh Walsh make up a big international quintet while Mark English arrives after many years as Railway Union’s top scorer. Cork C of I are always a threat with John Jermyn – Ireland’s record goalscorer – continuing to be one of the league’s most threatening corner experts. They have the vastly experienced Denis Pritchard coaching them, taking over from Neil Welch. 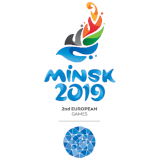 The season follows the same format as the women’s competition with 18 rounds of regular season matches from which the champion will got Europe. The top three move on to the Champions Trophy along with the Irish Senior Cup winner or, otherwise, the fourth place league finisher. The other four team group includes Instonians, Kilkeel, UCC and Corinthian. The top two from each group advances to the promotion playoffs with one automatic place in the EYHL available and another playoff spot against ninth in the EYHL on offer for a ticket to the top. And they look to have strengthened for the new campaign with the arrival of Liz Murphy, an Under-21 goalkeeper who has earned international caps in the past year. She joins Irish stars like Hannah Matthews and Ali Meeke in their line-up and rising star Sarah Torrans who came close to a call-up to the World Cup panel. In Lena Tice, they will continue to have a World Cup star in their midst while nine of their panel were in the Irish Under-21 squad during the summer, showing the talent on the rise under coach Miles Warren. 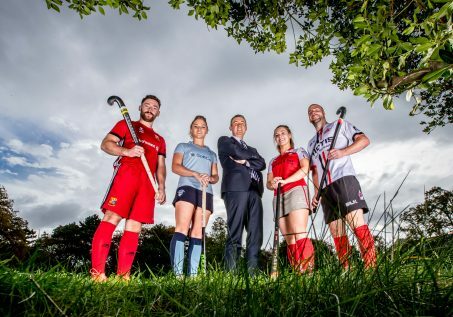 EY is continuing its support of Irish Hockey at a grassroots level following the launch of its sponsorship of the EY Hockey League for a fourth successive year. The 2018/2019 season sees the introduction of a second division to the league. 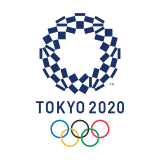 This will see further structures put in place to support hockey, increase competition and help build on the success of the women’s team at the world cup this summer. Photographed at the launch (L to R) are: Sam Grace, UCC; Chloe Watkins, Monkstown; Frank O’Keeffe, Managing Partner, EY Ireland; Ruth Maguire, Pegasus and Peter Caruth, Annadale. 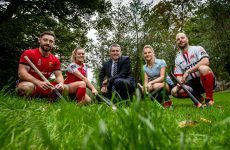 The Cork side will miss the services of Roisin Upton who is back at her original club, Catholic Institute in Limerick, where she hopes to bolster their promotion bid from EYHL Division 2. Naomi Carroll, meanwhile, will undergo knee surgery but the return of All-Ireland camogie hero Orlagh Cotter is a big boost. Railway Union just missed out on the playoffs a year ago by a single point but have recruited well with Niamh Sweeney, Cliona McCullough and Carolyn Crampton arriving from Trinity. Pembroke fall into a similar variety as Emily Beatty and Gillian Pinder are joined by fellow international Sinead Loughran. Tara Melvin – a member of the 2009 Colaiste Iognaid Kate Russell winning side – is back in Ireland after a spell in the English Premier Division with Bowdon while Lynne Froeschle is an eye-catching new name from Hamburg’s Club an der Alster. Muckross and Old Alex, meanwhile, were both promoted to replace Monkstown and Trinity in the top division. 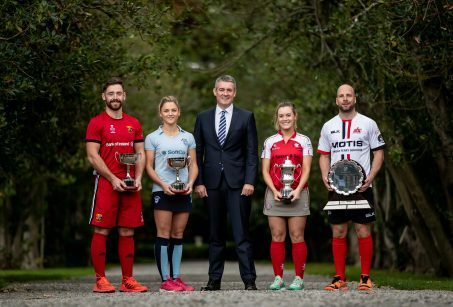 Muckross are coached by Sarah Scott and have completed a remarkable rise through the Leinster leagues to get back to the national stage they were central to in the 1990s, reaching six Irish Senior Cup finals in eight years. Alex were part of the old IHL in 2014 before being rejuvenated under the tutelage of Lisa Jacob and Fiona Connery.